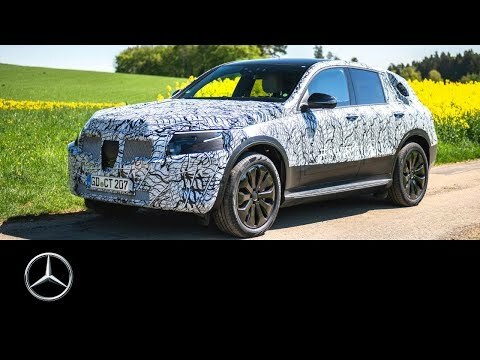 A production prototype of the upcoming Mercedes-Benz EQC electric crossover SUV has taken a peek from under its veil ahead of its official reveal Sept. 4. Mercedes released two short videos of the car. One reveals a quick look at the left headlight that shows some of the car's angular grille and announces the date of the car's full debut. 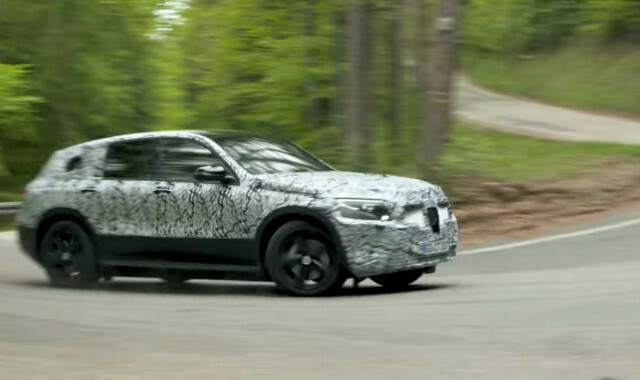 A second video more than two minutes long shows the full car, bathed in anti-spy-photography camouflage, testing on twisty roads in Germany's Black Forest with British racecar driver Susie Wolff behind the wheel. The EQC will be a small electric crossover SUV sized about like Mercedes' C-Class sedan, and from the second video it seems that Mercedes has high hopes for the vehicle's driving prowess. It is expected to launch a new EQ electric sub-brand for Mercedes when it goes on sale in the U.S. next year, probably as a 2020 model. Mercedes is already taking orders for the car in Norway, where it will go on sale as a 2019 model. 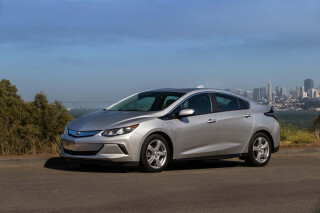 The company has indicated that the electric SUV will have a range of about 250 miles. 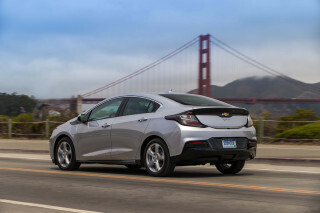 It will have a CCS Combo fast-charge port that will allow it to use new 350-kw fast chargers now being installed around Europe and the U.S., for example as part of Electrify America's charging network being built with Volkswagen diesel settlement money. That should allow it to charge at a rate of about 62 miles in five minutes. A full charge should take less than a half hour. Mercedes is also expected to offer a new wireless charging option for the EQ lineup. The EQC will be the first of a new range of electric cars from Mercedes, which will also include a larger EQS SUV. It will join a host of other electric SUVs from European luxury automakers expected to hit the market in the next year. We'll know full details when they're released Sept. 4.